Kiiko Matsumoto’s style of acupuncture is a unique synthesis. Kiiko style is the continuation of a traditional lineage which Kiiko has inherited from her own Masters and which she has continued to develop throughout her decades of clinical practice. Added to this is her many years of research into classical Chinese sources, in particular those of the Han Dynasty. This ancient knowledge is complemented and enhanced by a thorough understanding of modern anatomy and physiology. Learning directly from a teacher is one of the most profound and complete methods of learning and has for centuries been highly valued in many professions across the world. Kiiko has dedicated many years to study with a number of teachers and to this day still continues this process. Foremost among Kiiko’s teachers was Master Kiyoshi Nagano, a blind acupuncturist, who is the principle influence on this style. Kiiko was the first student to study with him over thirty years ago and has continued her devotion to his style ever since. 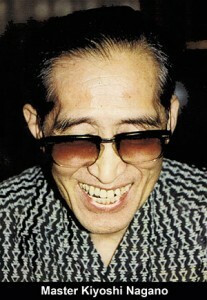 Master Nagano was a truly great acupuncturist with amazing sensitivity and delicate techniques. He discovered many unique and powerful points and extraordinary point combinations that are prevalent throughout this style. Among Kiiko’s other influences were shiatsu Masters Kuzome and Nasako. She credits them with teaching her the essence of abdominal diagnosis and their influence is reflected by the extensive use of palpation techniques. This flexible and multifaceted approach is a cornerstone of Kiiko style acupuncture. The classical Chinese texts are the foundation of all acupuncture and this style of Japanese acupuncture is no different. Since first reading Master Maruyama’s inspirational book on the classics, Kiiko has spent many years studying the oldest Chinese texts and uncovering their hidden gems. In particular she has focused on the core texts of the Su Wen, Ling Shu and Nan Jing and making their sometimes difficult and obscure concepts accessible and clinically relevant, giving practitioners new and potent treatment strategies. With such a strong emphasis on the ancient, it may seem strange that Kiiko style would concern itself with a modern understanding of the body. However, although the Masters of antiquity had a wonderfully clear knowledge about the way the energy of body, and indeed the universe, worked, modern technology has enabled us to gain a different and detailed insight into the physical micro-systems that compose our body. An example of this would be the endocrine system, whose effects and patterns are spoken of in the classics but not detailed specifically. Kiiko’s approach incorporates this scientific knowledge into an energetic understanding of the body and rather than treating with modern acupuncture techniques, she formulates treatment protocols based on classical principles. Kiiko style acupuncture uses many special acupuncture points and point combinations discovered by Japanese masters. In particular those of Master Nagano and Master Hukaya are a feature of this style. Dr Manaka’s mu points are also used, as well as additional point locations and indications for some traditional acupuncture points. Kiiko style Japanese acupuncture is gaining steadily in popularity in the UK and Europe. 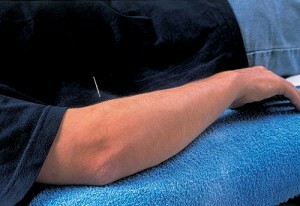 Its use of thinner needles and correspondingly gentler techniques are welcomed by patients and practitioners alike. Its inclusion of supplementary treatment modalities such as the Tiger Warmer, Japanese moxa techniques and magnets all broaden the practitioner’s treatment options considerably.